Hey, Are you thinking to apply for Google Adsense program? Wait, You must have to see these checksums “15 Things You Need To Consider Before Applying Google Adsense”. Are you aware of these all? Have you followed all the checks? If yes, then go through the application process. I guarantee you will get Adsense approval in Just 1-3 day. Everybody in the Blogging Field is making money through different Ad mediums like Adsense, Admob, Infolinks, and Medinet. then Why don’t You? Google Adsense is in the top of the list. But, As you know there is a lot of competition everywhere. Keeping all the things in mind Google has made Adsense Approval Process little harder. But It’s not too hard to achieve. So, I am sharing you “15 Things You Need To Consider Before Applying Google Adsense“.Let’s have a look at the points You need to consider. Why is Google Adsense Best For Monetisation? Does my blog/Website qualify for AdSense or not? Why My Application is Under review? When can I resubmit My Adsense Application? Google AdSense is one of the oldest networks to offer ad publishing and works at Pay Per Click system.CPC is Cost per click on which your earning is based. When it comes to the legitimacy of Google AdSense, it speaks for itself. Google AdSense have millions and millions of satisfied customers, publishers, and advertisers. AdSense pays on time. There is a lot of reasons to choose Google Adsense like – we can earn huge amounts of money if we do our work in a right way, We can get high CPC as well. In this entire internet blogging field, there are many who are making a complete living from their blogs and Google AdSense. Therefore, Google AdSense should be the number one choice among all the other available networks. It’s paying rates are better than all of the other networks for ex- Infolinks and Medianet.So, Every blogger chooses Adsense Over others. But as you know, everybody is running behind Adsense, Google has made the approval system very strict. You make little mistakes and get disapproved every time It happens with everybody. 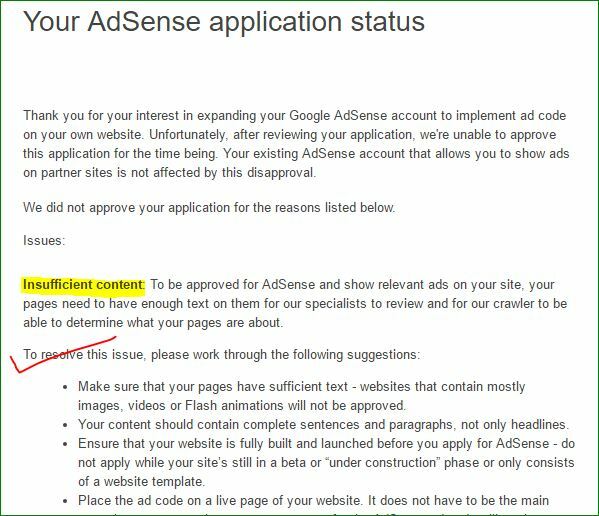 Some reasons – why Google will reject your AdSense application? Read More – How to make money from Website? Create a Website Now. Your website doesn’t have enough text on for Google specialists to review. You content Must be useful Unique and properly written. Whatever language you choose, write awesome contents which are different from others. It will also help your website to rank high. Blogs which are not well designed and that are hard for the visitors to understand, get rejected by Google AdSense. You must have a good and neat design which comforts the eye and is beautiful in the look. What will you do if you land at a page with full bright dirty background with yellow text on it, having huge buttons all over the place? Yes, you’ll never visit that website again. So, If you don’t know how to code a website, Just use better plugins like Colormag, Hitmag, Vmag, DIVI. This will give your website a different and awesome look. There are some pages which you must have on your website before applying to Google AdSense if you really want to get accepted. These pages will leave an impression about you, that you are a professional and that you are working according to the Google policies. Your website may be the one that drives traffic through illegal sources like search engines, social sites like StumbleUpon and Facebook. 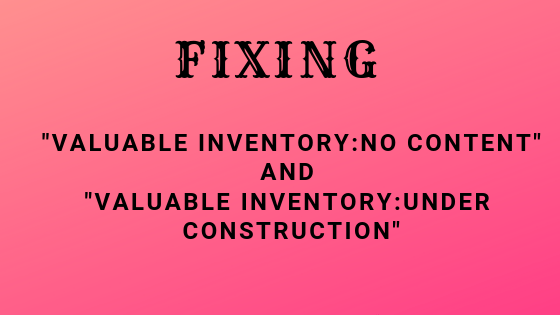 Sites with excessive keywords or poorly coded design are usually rejected. So, you need a complete guidance and list of things that you need to do before applying for Google AdSense. The first thing you need to do before applying for Google AdSense is to write high-quality content. This is a very important thing which you can’t ignore at any cost. I mean it! Is long enough, Write an article in 1000-2000. You can see Long and accurately written articles always rank. About Us, the page simply describes you and your blog. This will not only help you establish a relationship with readers but it will also make them trust you. It’s quite obvious that everyone has his/her own opinion. What one of your reader’s likes may be bothering someone else. Then it is better to give them an opportunity to speak up to you and tell how they feel about your blog, what they want to be edited, what they liked or hated. Creating a Contact Us page simply means that you are taking care of your customers and you will help them when they require any help from you. It will also show the Google AdSense Team Who will view your site that you actually care about your readers and not only the money and AdSense. Check out my Contact Us Page to get some idea. Google AdSense mentions in their rejection email that your website should have a clear navigation menu to help your readers find your pages and access the content. The more you care about improving your visitors experience the higher chances will be to get approved by AdSense. The below image will illustrate these things. 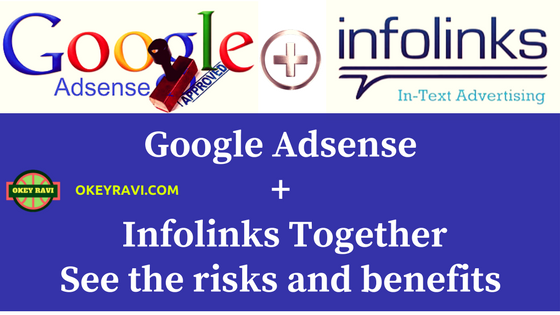 Read More: Can You use Google Adsense and Infolinks Together? Krishna and Sunny got his AdSense account approved with just 20 posts, 2000 views, and 20 comments. Isn’t that great? I visited his blog and noticed these things that actually matter to get Adsense approved. This is the mistake that new bloggers are making who are less than 18. They write incorrect age and get into trouble.Use your correct date of birth and age while applying for Google AdSense account.Because Google AdSense is not for people who are under 18. Some people realize this problem after being disproved a few times without any legitimate reason. As mentioned earlier in “15 Things You Need To Consider Before Applying Google Adsense” your blog design matters a lot. It should be professional and not like a messy photo gallery. A clean, professional and fast-loading design is appreciated by Google.When you visit a website what’s the first thing you look for? It’s blog design. Know How to add Menu, SubMenu and Adding Categories and Links to the Main menu very easily through this video. There are few languages that are supported by AdSense so make sure your blog language is on the list of these. Google has made changes to their policies. If you have a blog with Blogspot and the domain is yourblog.blogspot.com then chances are you will get approved quickly.But you will not be able to use that on any other domain like .com. You’ll have to submit the request to upgrade your AdSense account. As for today, you must have your own unique domain that specifies your blog. If you don’t have one yet, stop dreaming about getting approved with subdomains and go buy a Top Level Domain. It will cost anywhere from $10-$15/year. You can buy the domain from Godaddy or Namecheap. There are many AdSense stories that I read on many forums that some people got approved for few weeks old blog and other got rejected for the blog that is even more than 6 months old. So age doesn’t really matter when you have a high-quality blog that focuses more on helping your visitors. If you have a website that is less than 6 months old then you can still consider applying for AdSense. Read Also: Top 25 Google Adsense High CPC Keywords in 2018? If you have any other ads placed like Chitika, Infolinks, Clicksor or anything, it’s time to drop them off. Make your blog free from ads. Even Google AdSense allows you to use other ad networks along with them, it’s better to remove the ads before applying and don’t put them back until you get a reply from AdSense team which usually takes anywhere from few days to weeks. 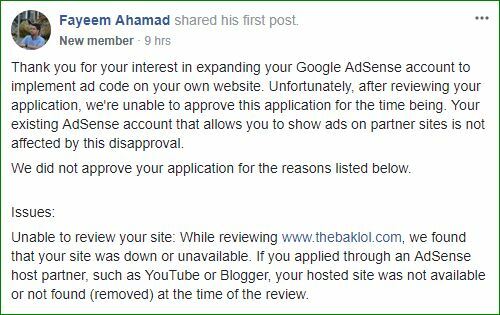 So, before submitting your application for Google AdSense make sure to remove all the ads on your blog from any other network.You can place your Affiliate ads later on after the Adsense got approved. 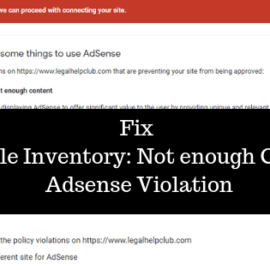 Google hates the sites that are getting paid traffic and mostly penalizes them so there is not a damn chance of getting approved by AdSense for a site that is getting paid traffic. You can bring traffic from search engines or any other way you want but if you want to earn via Google AdSense the right way, paid traffic is not a solution. Also, note, that Google does not accept site which gets traffic from illegal sources. So focus on getting traffic from legal sources like social media, search engines, and related blogs. 1. Do Social Bookmarking Like sharing your post on Facebook, Twitter, LinkedIn, StumbleUpon, Tumblr, Pinterest, Reddit and more. You will gain more social traffic under this way. 2. you can ask your family members and friends to regularly visit your site by searching on google and other search engines, It will give you organic views. 3. You can submit Your Website to Webmaster tools So that Search Engines like Google, Bing and Yandex auto crawl and index your site. 4. You should write articles on current trending topic according to your niche and your country. This will help you most to gain organic traffic. Visit Googletrends.com for more information about what is on trend now accordingly to your niche and country. You have read the article about “15 Things You Need To Consider Before Applying Google AdSense” yet having any misconception then comment below. You website is not completely developed yet. Please complete it properly before going for approval. You also need to make sure there is no any copyrighted material. Nice article to know about brother, I do own a site http://www.carwahi.com & I have applied to Adsense couple a times but rejection is the only word that’s arriving. I have a question, do using copyright images affects the approval ? Please visit my site once & check whether there’s any kind of error or not? Hi Abhishek, Yes copyrighted images have a poor impact on AdSense approval. Google will not give you AdSense approval if you use copyrighted or stock images. My website rejected every time. My website URL is mobileprice24.Net, My website is rejected for a site under construction policy violation. I think my website building is complete. Can you please help me to get approval? It will be very helpful to get an Adsense Approval. I didn’t get you properly. Please clarify. Is it like you are not getting Adsense Approval due to privacy conditions? i have seen many website having total copy paste content, and adsense is working on its even google page is high . how it is possible ? Once you take a approval… Then you can also do that. It’s very helpful guide to get the approval for adsense and clearly explained in this article. Such a great article ravi…… This is very important to find hidden a talent in yourself to become a successful entrepreneur and if we follow someone else path then we are never going to reach our goals. How can we deal if you have newspaper based website where duplication of the content is very much possible. Please advice. You are right. Google is getting strict toward these things now. So, if you have a news website then you can take Adsense approval writing some fresh content in starting. Once you got the approval then you can go fro copied contents. Nice article sir. I must follow these steps awasome steps. Ravi bro i have sent my details to your mail if need any of my details please let me know and please help me. please help me to get adsense in my website please. Hi Okey Ravi, thanks for giving such a great information about Google AdSense approval requirements. what if I buy a .info domain. Will adsense approve my website ? Reply soon as soon possible. yes why Not, you can get Adsense Approval for any domain.You just need to work on Your Content and look and design of Website.That matters a lot.